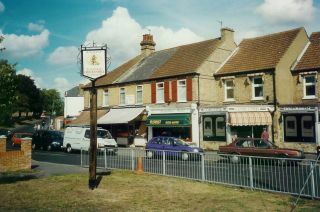 Although Crockenhill has a history dating back to the Middle Ages, it remained a remote hamlet until mid-Victorian times. From then until the First World War it experienced a boom-time with the rapid expansion and prosperity of market gardening. What has yet to be recognised is that, unlike other villages in N.W.Kent, it still retains the essential elements of the late Victorian and Edwardian eras and this architectural heritage is noteworthy. Few, if any, other villages typify so strongly the boom in market gardening that moulded the area a century and more ago. The earliest religious site in the village is the late C17th Baptist Old Burying Ground tucked away up a track called Darns Hill. 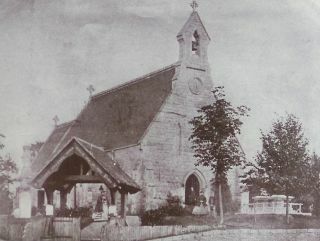 The first chapel of 1801 was sited in what is now called Old Chapel Road, but in 1869 a new Chapel was built and later extended to accommodate a Victorian school behind. From the mid-Victorian years date All Souls Church with its neighbouring vicarage. 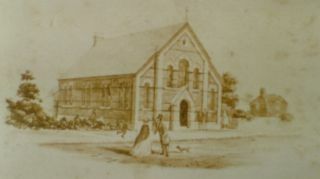 Another school run by the Anglican Church had been built in the 1850s in Church Road, but closed in the early 1940s and was demolished in the 1960s. Both this and the almshouses which still stand were provided by Maria Mosyer. The state primary school was built in 1906. The village retains the full social spectrum of housing. The oldest house is called The Moat and dates from 1500. There are some houses from the C 18th, but many old cottages were pulled down to make way for terraced housing originally built to provide accommodation for the farm labourers. 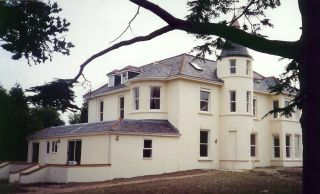 The large Victorian and Edwardian farmers' houses of The Mount, Home Farm and Highcroft Hall with some Victorian/Edwardian plantings still in situ remain. Houses, such as the Red House, the Gables and Pearmain, were purpose-built for the sons and daughters of these successful farmers. This cross-section of housing gives modern Crockenhill a good social mix and is one reason for its present social cohesion. Many other village facilities date from 1850-1914. 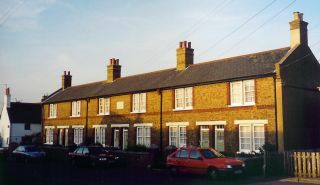 There is the row of almhouses built in 1860 in Church Road. 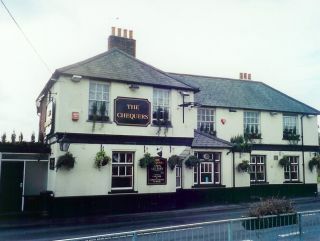 The Fruiterers' Arms pub was a speculative venture of 1860, though the Chequers dates backs much further to the C17th. The shops were purpose-built to serve the labour force at the turn of the C20th century and have attractively staggered fronts. 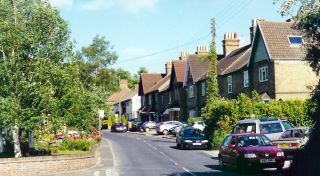 Though Crockenhill has not the number of very old buildings that other villages have, it is very much a planned village with housing and facilities provided by Victorian and Edwardian employers for their own comfort and for the benefit of their work-force. It is the product of N.W. Kent's market gardening past which has so rapidly disappeared since the 1960s. That so much of Crockenhill's coherent settlement pattern has survived into the C2lst is fortunate and gives it its own special character.